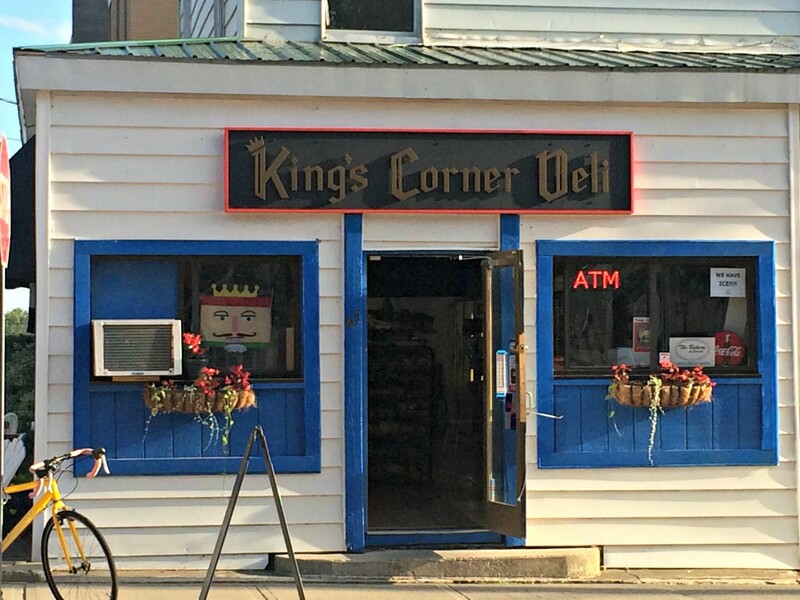 King's Corner Deli will close its doors this week after a four-year run as a noontime lunch spot and go-to corner store for residents in Burlington's South End. Owner Kathleen Donahue said that her 70-hour work weeks during the slow colder months had become unsustainable. "I kind of just made a decision for myself that I didn't want to make that sacrifice of my time any longer," she said. The decreased traffic during a "dark and stormy" October and "wintery" November sealed the deal, Donahue said. Friday will be King's last day open. The small deli, which opened in 2014, is a welcome convenience for those unable to travel far for necessities, Donahue said. And for those coming with appetites, the "chicken spectacular" — grilled chicken, spinach, red onion, tomato, roasted red pepper, mushroom, pesto mayo, toasted with melted provolone and topped with crispy bacon — has gained a steady following, she said. In 2017, Seven Days food writer Hannah Palmer Egan opined that she was "adamant" King's Corner "makes the very finest" sandwiches in Burlington. "We've had people in here in tears all day," Donahue said. "The community we've built here has been such an amazing part of my life and created this awesome experience for everyone." Donahue said she's hoping to sell the shop, and has even had a few interested buyers over the last nine months. No one's made a bid — though she's still accepting offers, she said. "It would be a great business for two people to run," she said. "If anyone's interested in taking it over, this community would so appreciate it." Donahue, a former attorney, wouldn't say what she plans to do next. On Monday evening, two regulars stopped by and mourned the closing. "It's kind of a gold mine," one said. "It's been awesome, I don't know what I'll do without it across the street," another chimed in. Donahue, in response, said that she was optimistic about the store's future. "I think someone's going to take over," she told the men. "It's just too great of a spot."